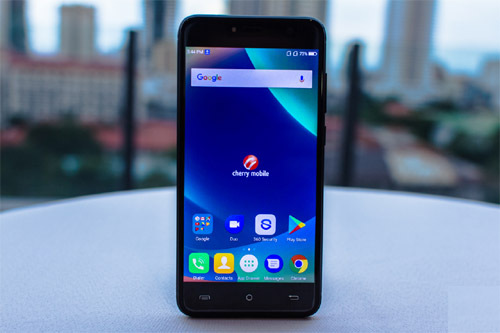 Cherry Mobile has recently released its flagship for 2018, the Flare S7 (and its variants). For its price, it's a good deal. The phone runs the Android 8.1.0 Oreo and it's surprisingly responsive. But we're not going to talk about how good or bad this phone is. I'm more into solving problems owners may encounter while using it. I bought the Cherry Mobile Flare S7 for my 6-year-old son who wants to play Minecraft all day long. It does the job done and it can actually play more graphics-intensive games like Real Racing, NFS, etc. However, we already encountered a couple of times wherein the phone just stopped responding and got stuck on the black screen. It wouldn't respond when the power key is pressed and held and it won't even respond to its charger. While the battery isn't mounted, press and hold the power key for a minute or two. Replace the battery and make sure it's properly mounted. Secure the battery with the back cover. Now, press and hold the Power key and your Cherry Mobile Flare S7 should boot up. If, for some reason your phone is still not responding after this procedure, then it's time you brought it back to the store and have the tech check it up for you. Text messaging or texting is a very basic service and any mobile phone can do it without any problem. However, there are times when problems occur and it seems like some of the owners of the Cherry Mobile Flare S6 are among the ones who are bugged by a text messaging problem. It's either they can't send or receive SMS or text messages. Here in the Philippines, texting is the primary mode of communication especially if your on a tight budget because depending on what network you are, you may be able to get unlimited texts for a day for just P10. So, when you encounter this kind of problem, you must immediately do something about it. With that being said, here's what I suggest you do if your Flare S6 cannot send and/or receive text messages. Reboot your device first because maybe it's just a result of a minor glitch in the app or the system. Glitches can easily be fixed by a reboot so you must do this especially if it's the first time you encountered this kind of issue for a long time. Make sure you have good reception. If the reboot didn't fix the problem, you must take a look at the signal indicator to see if your Flare S6 is getting good signal because if it shows 1 bar only, the signal could be intermittent and there could only be times when you can easily send a message. Also, make sure the flight mode or airplane mode isn't enabled as that would disrupt all wireless communications in your device. You would if it it's enabled if you can see an airplane icon beside the signal indicator. Check if your still have balance in your account. Depending on what network you're on, you can easily inquire about your prepaid balance. This is the best way to know if the problem is with your account or not. If you're on an unlimited prepaid plan, text messages to other networks may not push through especially if you have no balance in your account--you need to consider this possibility as well. Try making a call if possible. If it's an issue with your account or SIM card or a network problem, you can neither make a call or send a text. So, since you can't do the latter, you should try doing the former to know more about the problem. If you can make a call, then the problem could be temporary especially if you were able to send a text message moments ago. Another possibility is that it could be a network problem and if it is, you'll just have to wait it out until it's fixed. Your service will be up soon or until the problem is addressed by your network. Call tech support. Not everyone will do this but if the problem lasts more than a day, you should check with your network what the problem is. Prepaid users aren't really used to doing this but you should know that regardless whether you're a prepaid or postpaid customer, the representatives will help you just the same. 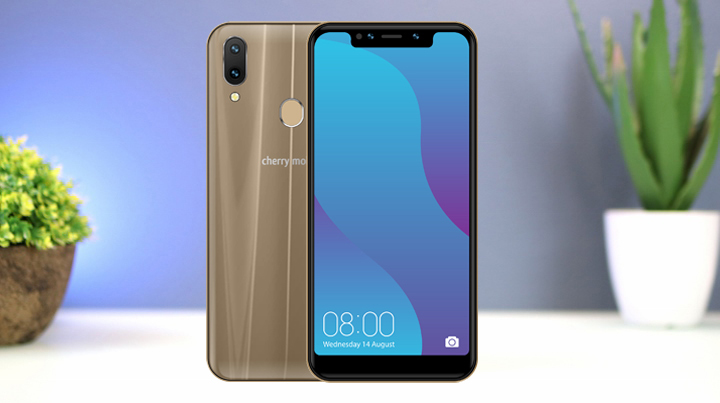 I hope that this troubleshooting guide can help you fix the problem with your Cherry Mobile Flare S6 that can't send and/or receive text messages. Thanks for reading! Charging issues are among the most common problems any smartphone owners encounter from time to time. Such is the issue with some of the Cherry Mobile Flare S6 owners I know. The problem is that out of the blue the phone won't respond when connected to its charger. Good thing Cherry Mobile phones will work with any third-party chargers so having a possibly busted charger won't really be a big problem. Still, a phone should work properly without a hitch and that's the reason why I publish posts like this to help my fellow Filipinos fix problems with their phones without having to pay a technician for a problem that's not really that serious. I encountered this problem before so I know how to fix it provided that your phone hasn't been dropped or got wet because if that's the case, then it's a different problem and it's something you can nothing about except ask for assistance from a tech. First of all, open the back cover and then pull the battery out. Check the battery, its compartment as well as the connectors if there is moisture. While the battery is not mounted, press and hold the power key for 30 seconds or a minute. This will drain stored electricity in the capacitors and refresh your phone's memory. After making sure the battery and its connectors aren't wet, place it back in and make sure it's properly mounted in its place and then secure it with the back cover. While the device is still powered down, connect it to its charger to see if it charges this time or still not. I would also assume you already made sure the outlet you plug the charger into is working. If the phone is still not charging after this and it still has enough battery, turn it on and then connect it to a computer, laptop or another other charger. If it's not charging as well, use a different cable. After this and the phone is still not charging, then the USB Charger port may have a problem. Try to check if there are foreign objects in there that might be obstructing the connectors. If there's none, then it may need to be replaced. Needless to say, you will need help from a technician because it's a hardware problem already. Here's the thing, even if a phone like the Cherry Mobile Flare S6 has a defective battery, it may not charge but it gets detected by a computer. You've already tried using a third-party cable and still the device neither charges or gets detected. Therefore, the're a problem with the port. I hope that this short troubleshooting article can help you fix your Cherry Mobile Flare S6 or at least, shed some light to your questions. Good luck! The Cherry Mobile Flare S6 has a removable battery. So, if power problems occur like when the phone refuses to turn on and is being unresponsive, it would be a lot easier to fix. This is one of the advantages of a phone with a user-removable battery. 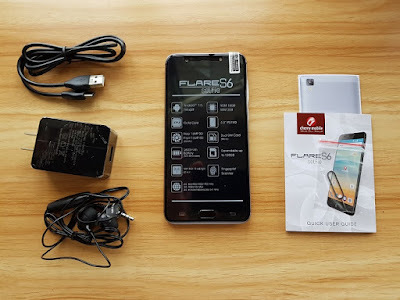 Remove the back cover of your Cherry Mobile Flare S6. Now, pull the battery out. Press and hold the Power key for 30 seconds or a minute while the battery isn't mounted. After which, replace the battery and make sure it's properly mounted with its connectors in proper place. You may not press and hold the Power key until the screen turns on. 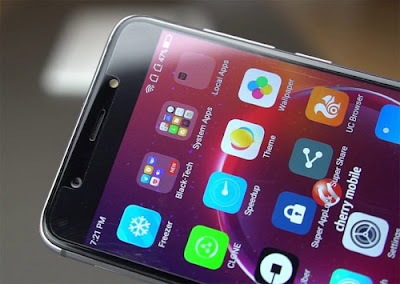 Most of the time, when a smartphone ceases to respond without apparent reason or cause, it's due to a firmware crash and removing the battery will actually refresh its memory. That's what you did when you followed the steps above and if your phone turned on after doing the procedure, then congrats as you just fixed the problem without paying a couple of hundreds of pesos. Make sure you follow the first procedure. Now, plug the original charger to a working wall outlet. Connect your phone to its charger and regardless whether it charges or not, leave it connected to the charger for 10 minutes or so. Now, press and hold the Power key for at least 10 seconds. If your phone still doesn't turn on after this, then disconnect it from the charger and follow the steps in the previous procedure. If your Cherry Mobile Flare S6 is still not responding or turning on after this, then it's time you brought it back to the store or to the shop so the technician can check it up for you.